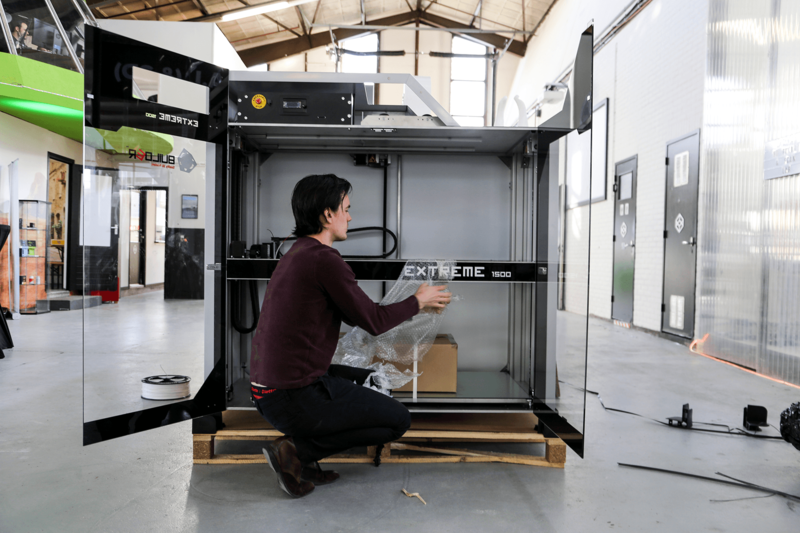 After unboxing the Builder Extreme, make sure you remove the Extreme from the pallet with a forklift truck and place it on a levelled concrete floor. Do not print while the Extreme is on the pallet. When not having a forklift truck, please check this video. The Builder Extreme 1500 is the only Extreme which comes with wheels. Note that the wheels must be installed after the Extreme is removed from the pallet for safety reasons. Use the 2 yellow tools to make sure the machine is levelled before use. Use the level tools on the front, left and right. This is just to level the machine, not the bed. Insert filament in BOTH extruders. Note that the Dual-Feed extruder needs to be filled with BOTH filaments all the time, even when you print in 1 color. This prevents the Dual-Feed extruder from clogging. See instruction video. 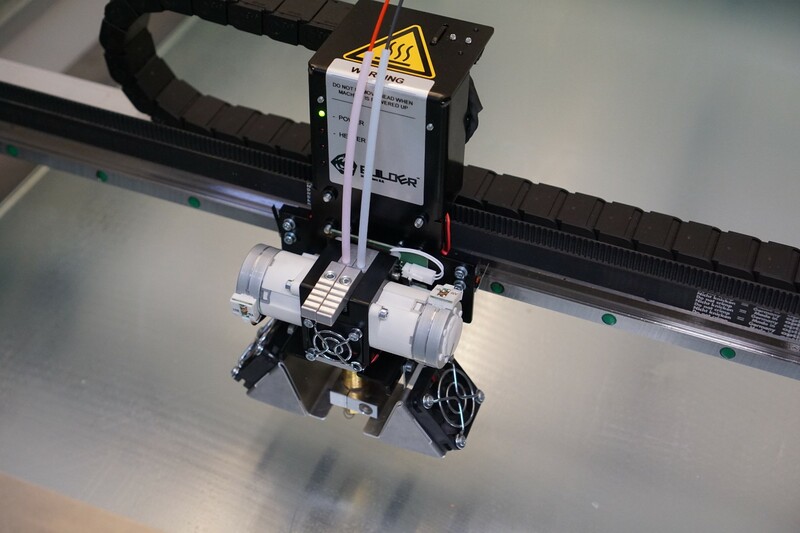 Start printing the surface test from the SD card. The surface test (0.4 mm nozzle) shows you if the build plate is still levelled. 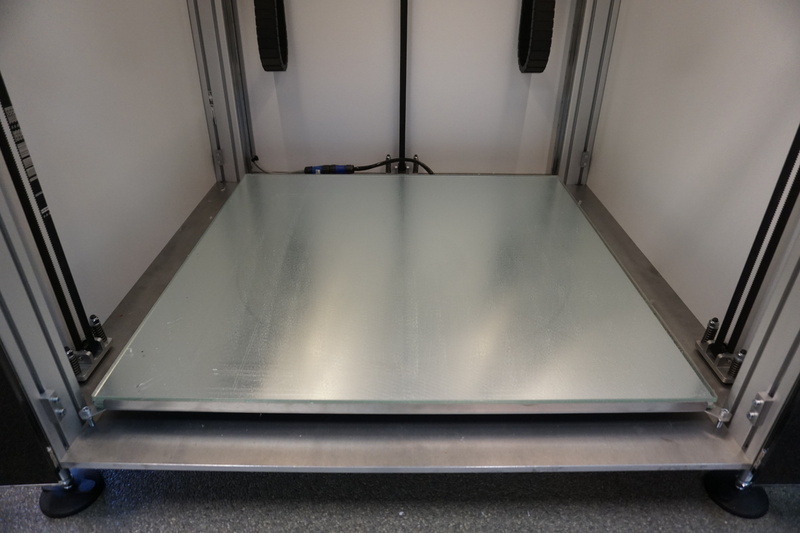 The build plate was already levelled in the factory before shipping. 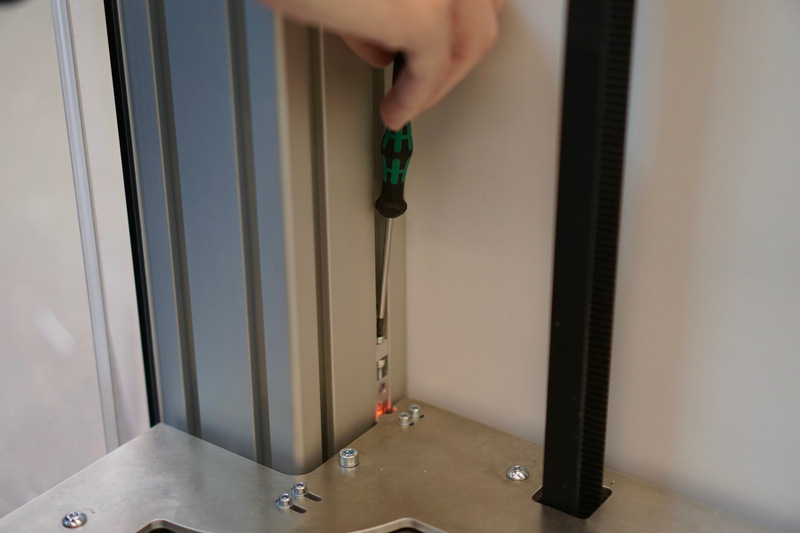 If the surface test does not come out right (filament does not stick to the bed), you might need to level the frame on point 1, 2 and 3. Gently turn the screws clockwise on all 3 points and start the surfase test again. See instruction video. 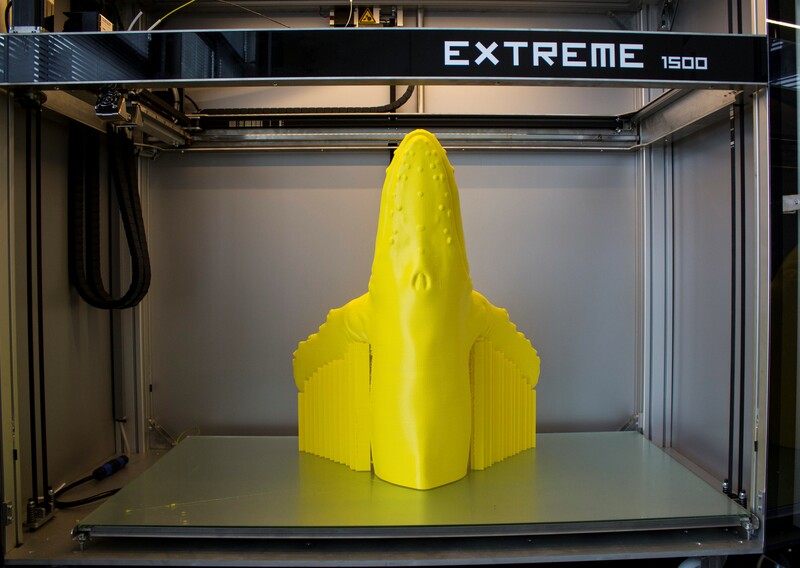 Use the pre-heat option (close Extreme doors) and make sure you pre-heat the Builder Extreme for 15 minutes before starting your first large 3D print. Pre-heating makes sure the adhesion of your object is better, especially in the winter. 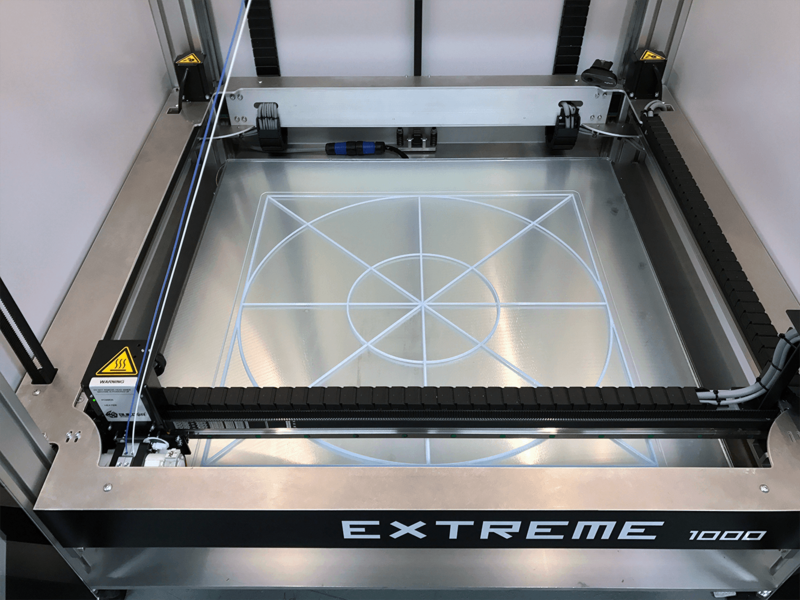 After the print has finished, open the doors of the Extreme and let the build plate cool down for about 15 minutes. 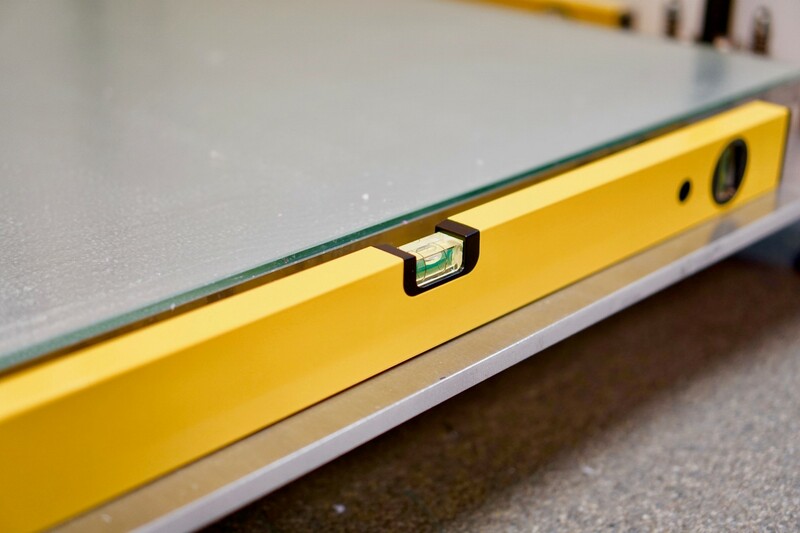 This makes it easier for you to remove the object from the glass plate.